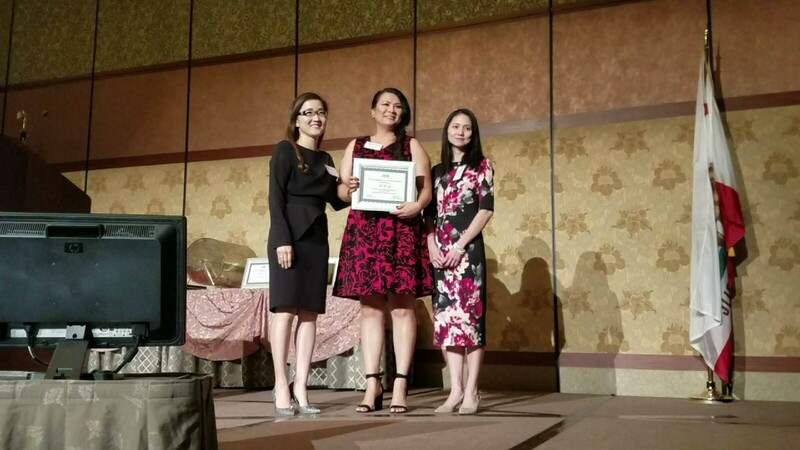 ANAHEIM, CA (December 12, 2016) – We would like to congratulate Thi Le, Project Coordinator, Huntington Beach, on her recent award of a Community College Scholarship from the Women’s Transportation Seminar (WTS). Thi was recognized and received the official award last Thursday at the 2016 WTS Annual Orange County Awards and Scholarship Gala held at the Disney Grand Californian Resort in Anaheim. WTS is an international organization dedicated to building the future of transportation through the global advancement of women. With over 6,500 members, both men and women, WTS is turning the glass ceiling into a career portal through its professional programs, networking opportunities and unparalleled access to industry and government leaders. Thi has been with Paragon for 9 years and is furthering her career in transportation by continuing her education and pursuing a degree in Civil Engineering. Congratulations Thi, we are all very proud of you!